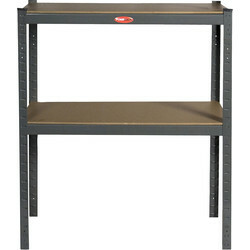 If you need a little extra storage space, browse our shelving systems available at Toolstation. Our shelving units are designed for easy self-assembly and are available in a variety of tiers to suit you. 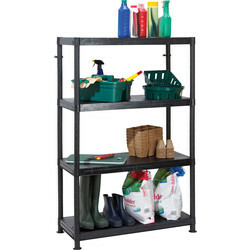 Our heavy duty boltless shelving system is ideal for strong storage use. 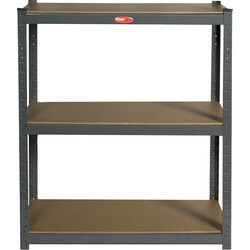 This heavy duty shelving unit features an epoxy powder coated framework and MDF shelves for a durable finish and hold. As a boltless shelving system, it is simple to assemble. Whether you have a small or large requirement for storage space, you can choose a 2 or 3 tier shelving unit and combine both to create 5 shelves. 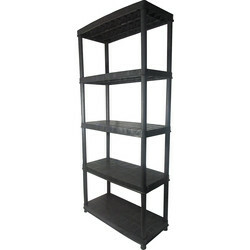 Our 4 tier plastic shelving unit can be used for both indoor and outdoor storage. This plastic shelving system is easy to put together and requires no tools or equipment. 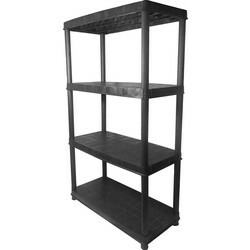 Its robust design allows you to hold a maximum of 25kg per shelf.